I have been meditating on John 1:35-51 the last few days. It is the account of Jesus calling his disciples to follow Him. But I have noticed something for the first time. When Jesus calls his disciples to follow him, and they do, it is followed by some questions. Jesus’ answer is, “Come and see.” When Philip finds Nathanael, and he asks him is anything good can come out of Nazareth, where Jesus is from, Philip replies, “Come and see.” When Nathanael responds and encounters Jesus, He says to Nathanael, “Behold, an Israelite in whom there is no deceit.” Nathanael asks Jesus how He knows him. He replies, “Before Philip called you, when you were under the fig tree, I saw you.” Nathanael is amazed that Jesus “knew his true self,” then recognizes Jesus as the Messiah. 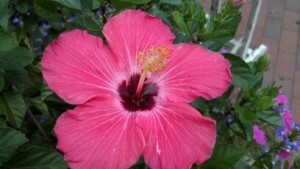 So often we think that in our search for significance that we have arrived when we have an understanding of who we are. Isn’t that the essence of all self-help, self-discovery and self-development? We think we have arrived when we connect with and express our authentic selves. But, self-discovery is not the destination. Once we have connected to ourselves and find our true identity, there is an invitation, a promise, that we will SEE HEAVEN OPEN. When we come out from under the fig tree, that place of hiddenness, hiding, obscurity, isolation, the cocoon of transformation, we are called to behold God and His wonders in a whole new way. I know that many people have been in a prolonged season of “being under the fig tree.” God has seen your highest self there, while you have been parked, positioned in place of safety, reflection, re-tooling, and inward study, but I believe it is now a new season of “come and see.” A time to step out from under the fig tree,” agree with God in who He says you are, and then “come and see,” behold HEAVEN OPEN TO YOU and behold the wonders of God. It’s time to come out of hiding and out into the open heaven. If you are feeling the beckoning of God to leave your fig tree and follow that unction of “come and see,” do it. Who knows what OPEN HEAVE is awaiting you. This entry was posted in Inner Garden Club, The Second Blossoming on May 21, 2016 by Veronica. Sometimes what you think is a beginning is actually an ending. Knowing that the only way I was going to find it was by TAKING ACTION, I grabbed onto my spirit, released courage, and headed back to familiar territory to establish what I thought would be a new sense of family. Mentally, I had to give myself permission to explore, to give myself some time to see if moving back to where I had once lived would be my solution for family, not having any of my own. If it worked out, great. If not, I would at least know, as this was where my long term friends were. You can’t start a new beginning with old energy. Going back to where I lived before was old. Familiar and new cannot be sipped out of the same cup. New is new. My spirit was crying out for something brand new. If you want new, don’t go back to old. You are a product of your culture. We are not products of our own being. We are products of our environment. I needed an environment of vitality, and the city I had grown to love, no longer provided that vitality. If I wanted a new culture, I had to go where new culture existed for me. Until you get delivered from foundational lies, you are not free to enter into new life. Period. I had to face and extinguish the foundational lie that my life was meant to be lived alone. While I have tasted great glory in my life, I have also tasted great suffering, most of it self-induced. God brought a great pastor into my life, who in one divine sovereign setup, helped me to discover the lie that has sabotaged most of my life, a false identity put on my by a sin of omission by my parents. I was never nurtured emotionally—and so I took on a lie—a false identity that my life was meant to be lived in an emotional isolation. Until you deal with your fundamental life-lie, you will not get to your new. As soon as that lie was broken off of me, I immediately recaptured my sense of true identity. My life has not been the same since as I now feel whole. Don’t take so long to listen to your gut. I wish I had a mentor in “gut training.” It took me way too long to realize what my gut IS my best mentor. To listen to it, trust it, and act on it is an act of self-love. When you are in “your new,” your whole being will know it. Having just moved back to North Carolina about a week ago, my entire being was filled with the oxygen of life. I could breathe again. There is an emerging sense of exploring the new, not the old, and fresh hope, but this time with confidence of good things ahead. It’s still been a leap of faith with much to fall into place, but there is no feeling like KNOWING you are in the right place. My gut and every other atom of my being says so. All this to say, all aspects of our being help us to make decisions. While some are great logical thinkers, others rely on discernment. Whatever your mode of decision-making is, all parts of our being speak to us. If you want to get to your new, wake up and listen to each part of your speaking being. Accept total responsibility for creating your new, especially new relationships. I often say to people, “We don’t have the power to fix, but we do have the power to create something brand new right in the middle of our mess.” Renowned life-coach, Tim Storey, says, “A comeback is not a go back.” In other words, we have to move forward into our new—and not go back to fix things to get to our new. Take some time to reflect on what you don’t want—and that will open up your mind to consider the opposite—what you do want. While I made some great new relationships which I will still take with me, I developed some deep confidence in my ability to form new relationships and open up my heart to life again. God is not in the improvement business. When He does “new,” He bulldozers down the old to build a whole new foundation from the inside out. When I allowed Him to “gut me,” I was utterly amazed at what happened afterwards: after the past comes the future. After the old comes the new. After death is resurrection. After winter comes spring. Some loved ones I had totally relinquished are coming back into my life in a brand new way. When all the old energy of strife, control, and bitterness were dissolved in my own heart, God is bringing about a fresh start. Wow. Put yourself in the middle of the equation of life. As a life-coach, I help a lot of people get new jobs, process their grief, resolve their interpersonal conflicts, set and achieve new goals, and expand their confidence. One day I said to myself, “What about me?” I help all these people and now it is my turn for my own life! This led to my asking myself a lot of new questions I have never entertained. More about that in an upcoming reflection. But for now, I have been on an eight year journey to get to my new. Now I am here! In the last two weeks, I have moved, lost 15 pounds, working on publishing a book I wrote, and expanding my influence. All systems are go! Praise the Lord! What I thought was a new beginning in Virginia was really an ending. I am now so grateful I went through the process of ending because now I am IN my new beginning. I don’t have to think it up, confess it up, imagine it up. I did the work and I walked it up with God. He brought me to it, and He is going to do the same for you! If you deeply desire to make a shift in your life and make 2016 a banner year, a time for conquest, please reach out to me. Let’s find a time to talk. Remember, hoping, wishing, and even just praying, doesn’t change anything. What is it costing you to stay where you are at? Only taking action, inspired imperfect action will make the difference. This entry was posted in Relationships, The Second Blossoming on December 17, 2015 by Veronica. As a life-coach with a deep history in competitive athletics, I am always noticing the connection between sports performance and personal growth. One of the distinguishing features of champions is that they have less thoughts than others and can sustain them longer. That means they can think a new thought and bring that thought into reality by “holding” to itover time and execute it until it happens. Not so with the average person. One of the benefits of coaching is to have the support you need to step out and try something new and keep “holding” to that thought over time until the new thought gets rooted in your life and you see the breakthrough you have only been “wishing” for or “praying” for forever! A brand new mother-daughter breakthrough when it appeared impossible A brand career path opening up because it is now being acted upon when it was previously a dream An open mind for a second blossoming with your spouse A letting go of negativity and blame to align yourself for new possibilitiesA letting go of being “the caretaker” to become the “dream maker” for a fresh outlook on life and freedom of emotion. I am so thrilled to see all these new blossoms open up and I want to extend an invitation to you and yours to join us for the next Summer of Transformation intro session. It’s not too late! 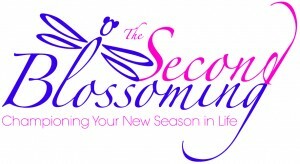 Please join me for our next intro to The Second Blossoming Life-Coaching session on August 15! Info below. Feeling stuck? Have you lost your sense of self and where your life is? Have you been yearning for a new beginning but don’t know how to get there? Are you wondering how to find your life, your voice, and the fulfilling life you desire? 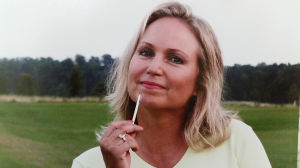 You are cordially invited to a special life-coach introductory training with Professional life-coach , Veronica Karaman on how to step out of the old and into the new to create a new you and a life you love. It’s your time now! Discover: 3 Keys for stepping out of the old and into the new The number one mindset shift in getting unstuck and moving forward How to start loving yourself first! 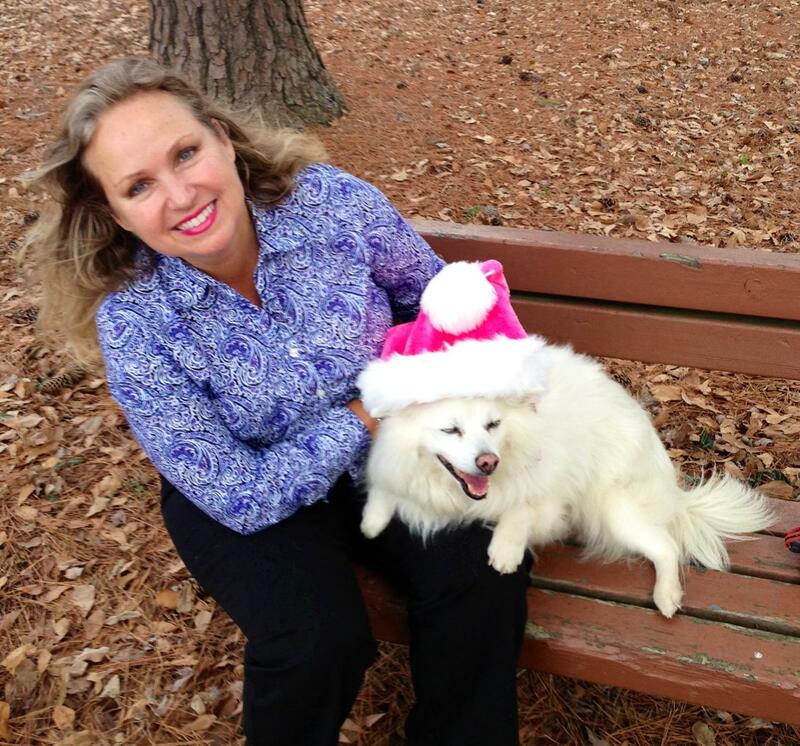 “Veronica’s coaching gave me great confidence to pursue and find my dream job.” Kim D.
These sessions are limited to 25 women and will fill up quickly. Register today to secure your spot. This entry was posted in The Second Blossoming on July 26, 2015 by Veronica. Are you stuck? Have you been yearning for a new beginning but don’t know how to get there?Are you wondering how to find your life, your voice, and the fulfilling life you desire? You are cordially invited to a special life-coach introductory training with Professional life-coach, Veronica Karaman on how to step out of the old and into the new to create a new you and a life you love. It’s your time now! You will step into a brand new inner freedom and direction for life as you learn to cultivate your inner garden and enjoy connecting at the heart level with other inspiring women. These sessions are limited to 25 women and will fill up quickly. Register today to secure your spot. To Register, call 757-407-1907 or email: veronica@truechampioncoaching.com $40 introductory fee. Karaman True Champion Coaching, P.O. Box 65171, Virginia Beach, VA 23467 Directions to follow. This entry was posted in Inner Garden Club, Relationships, The Second Blossoming on June 27, 2015 by Veronica. Send yourself a shot of love this Valentine’s Day! Tomorrow is Valentines Day. While people are offering expressions of love to “that special someone,” I notice that there is a dearth of one kind of expression of love in particular. That is, the freedom to love and honor yourself. In my coaching of mid-life women, I find this strong trend of women who have learned how to master the art of serving, submitting, and surrendering — but have trouble dreaming and achieving and LOVING themselves. I can tell that a woman has entered her SECOND BLOSSOMING when she has made the decision to put herself first, not in a self-centered way, but in a “I matter, too, way.” I have helped everyone else in my family blossom, and now it’s time for me! Problem is, a lot of women don’t know what they truly want. 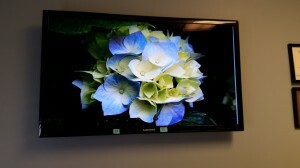 I was in the dentist chair this week and noticed the above blossom on the screen. 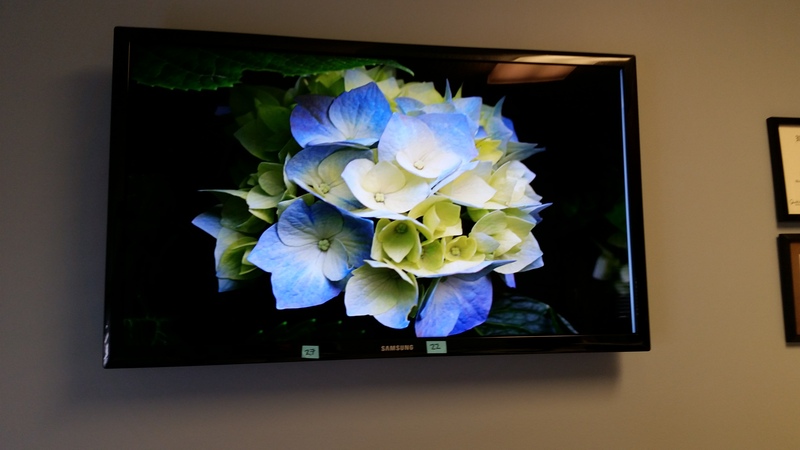 “That reminds me of my Second Blossoming program,” I commented to the dental assistant. Her ears perked up. What do you mean?” she inquired as her spirit came to full attention. 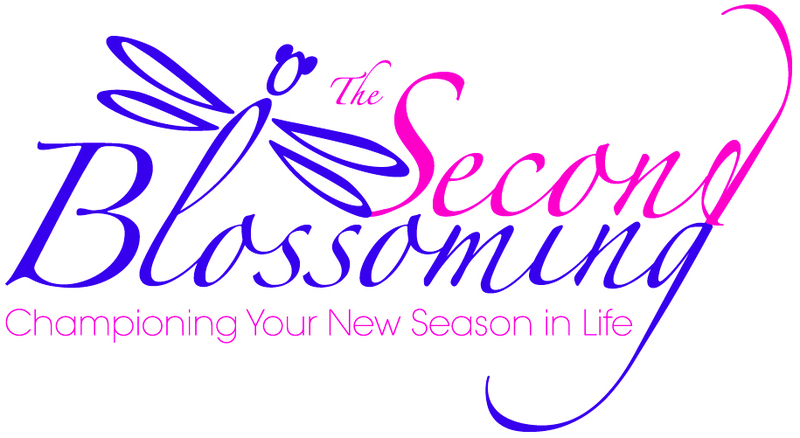 I explained, “The Second Blossoming is a season of a woman’s life where what she has been doing isn’t working anymore. A season of her life is completed and she yearns to step out of the old and into the new but doesn’t know how.” “That’s me!” she exclaimed. My children are out of the home. I am secure in my job, but I am ready for something new. I’m yearning to soar into something new and spend this next 20 years of my life fully alive and significant.” “That’s the Second Blossoming!” I replied. Saturday, February 28th from 10 am to noon at The Spine Group, 2416 Virginia Beach Blvd., Va. Beach, VA Contact: veronica@truechampioncoaching.com to Register Only $25 Send yourself a shot of love today! This entry was posted in Inner Garden Club, Relationships, The Second Blossoming on February 13, 2015 by Veronica.